and live in every day. 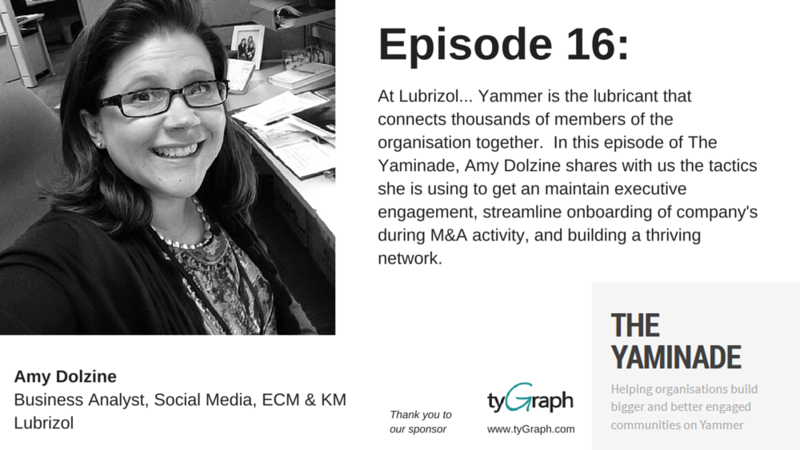 In this episode she shares her Yammer journey over the past few years at Lubrizol, order including some interesting use cases – specifically how Lubrizol used Yammer to streamline the onboarding of employees that joined the organisation through Merger and Acquisition activity. There are lots of great stories in this episode – I hope you enjoy it! Thank you for the support of our sponsors tyGraph who have helped us cover the cost of bringing this podcast to you! Support the organisations that support The Yaminade – and try tyGraph on your Yammer network today to surface metrics with meaning!